Fall: March 4, 1960; 08h 06m U T.
Elongated angular mass in the shape of a hammerhead. 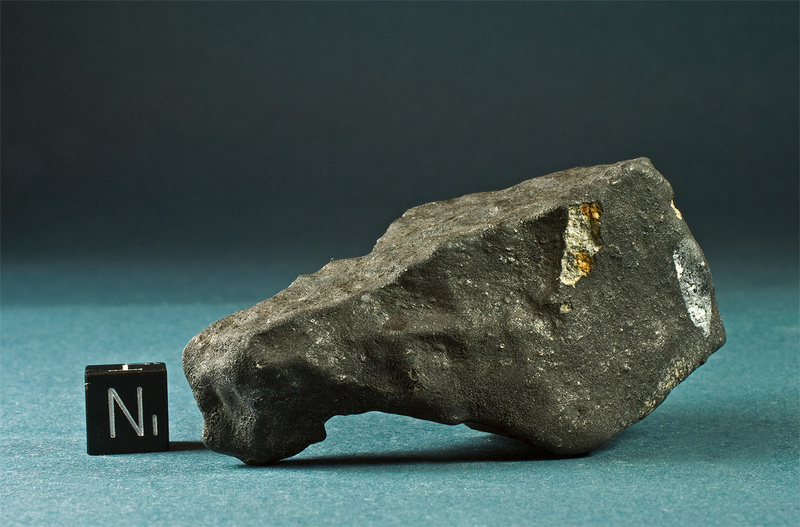 Apart from a small chip this meteorite is fully coated with a thin black velvet like fusion crust. Bruderheim entered the atmosphere as a detonating bolide creating a flash which was visible for 200 miles and followed by a series of loud detonations heard over an area of 2000 square miles. The fireball travelled on an azimuth of N. 100°, slope 40°, in the direction of the earth’s revolutionary path. The bolide had an initial velocity of 8 – 10 miles per second. The meteorite shower produced an elliptic strewnfield 3.5 miles long and 2.25 miles wide with its long axis N. 80° W. This particular mass was found by Walter Holowaty relatively late in the search campaign. 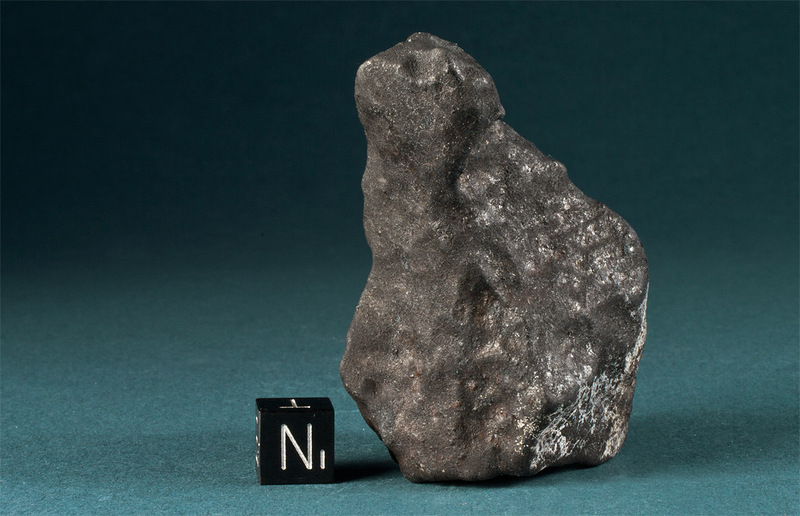 It was one of the last meteorites of the Bruderheim fall recovered during the initial search after the fall and it received the University of Alberta’s collection number B-177 (of 188 initially recovered). University of Alberta trade. Welcome to the digital residence of Meteorite Recon. This page is about meteorite prospection in continental deserts, meteorite research and photography.